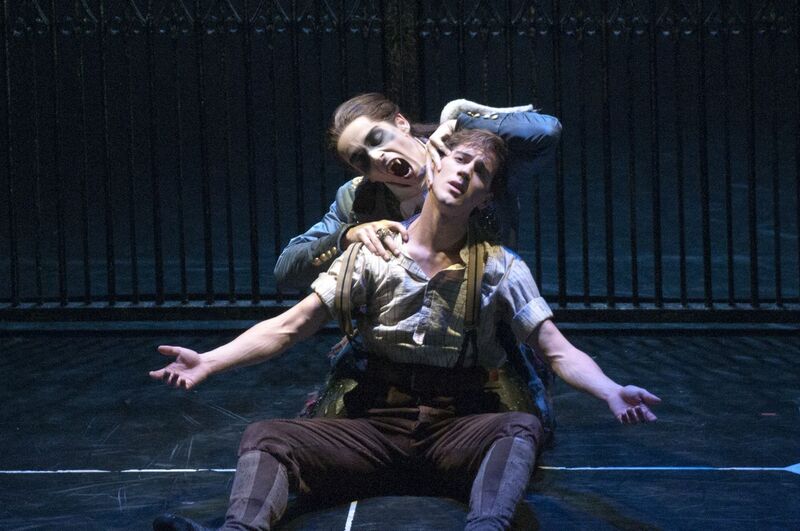 Matthew Bourne and Sleeping Beauty, a Match Made in …Transylvania? by marinaharss.In Uncategorized.Leave a Comment on Matthew Bourne and Sleeping Beauty, a Match Made in …Transylvania? Dominic North (Leo, the gardener) and Liam Mower (as Count Lilac). Photo by Simon Annand. With Sleeping Beauty, Bourne completes his Tchaikovsky Trilogy. Not satisfied to delve into its plot, he has reconstructed the story and added some rather surprising supernatural elements. Does it work? Not really. Sleeping Beauty is not an easy work to stage–even ballet companies, following Petipa’s libretto, often fail. But by going hors-piste, Bourne is forced to make increasingly outlandish choices to keep the story on-track. The first act more or less works, but the second goes off the rails. Meanwhil, Tchaikovsky’s music (played in an overloud recording) is more or less trampled. Here’s my review, for DanceTabs.